Save this one for Halloween? 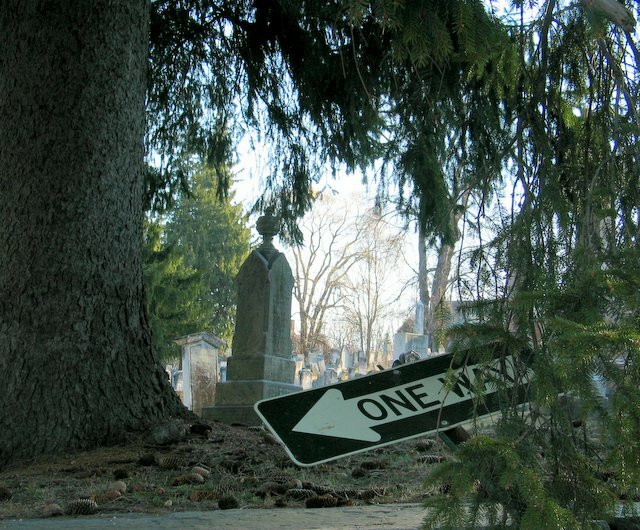 I found something ghoulishly amusing about the sign, pointing downward, in the cemetary. It was a lovely sunny spring morning, but from this angle it might as well have been dusk in October! And love the One Way sign, lol. Yes, it often is a one way trip! The symbolism is significant. Great photo.